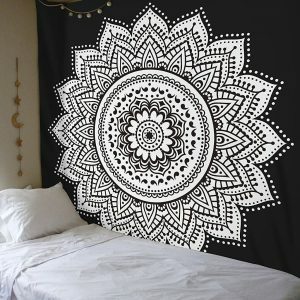 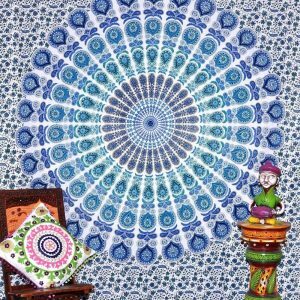 Uses: Bedspread, Picnic blanket, Bench cloth, Wall-piece, Ceiling decoration, Mattress, etc. 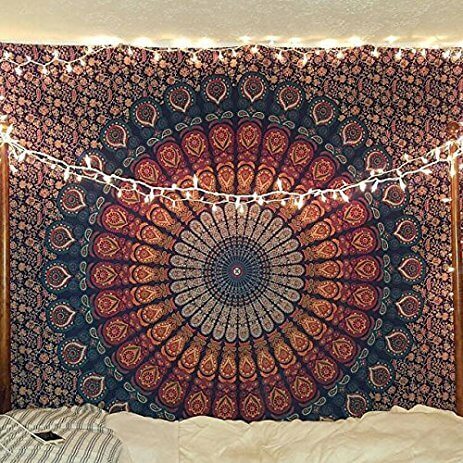 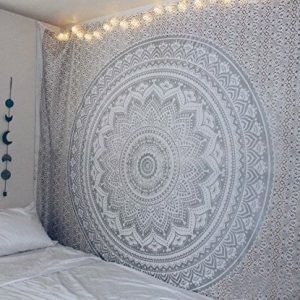 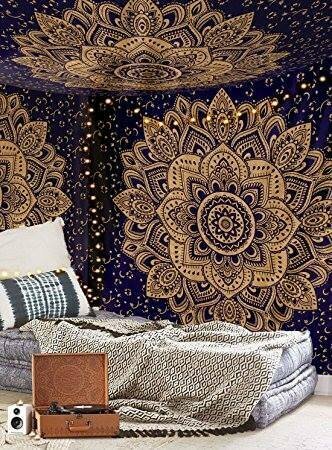 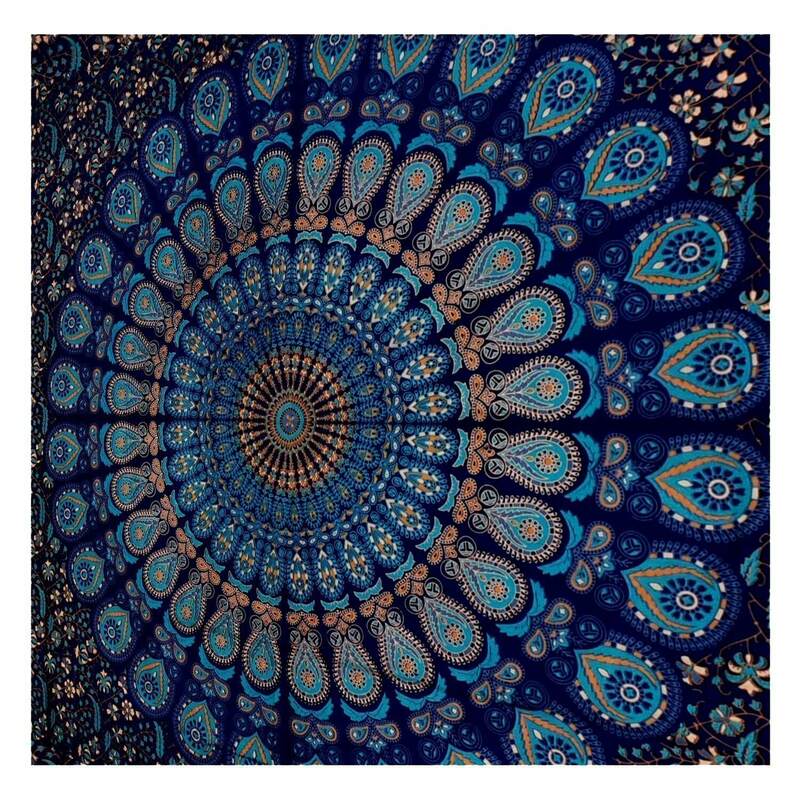 Mandala tapestry is ideal for personal maturity process, protection, and healing. 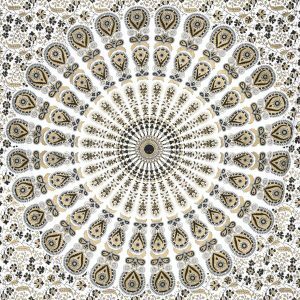 The word ‘Mandala’ comes from the Sanskrit language which means ‘Circle.’ The mandala has a broad meaning in the history of Buddhism and Hinduism. 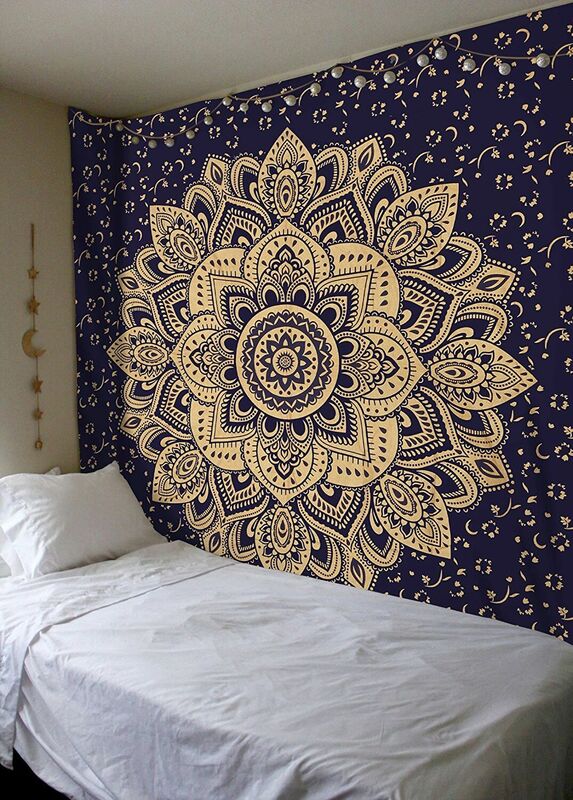 It indicates balance, unity, and harmony.